Confession time. Making baby quilts is a lot more fun than knitting booties and hats. Especially when your friend is having an August baby. August is so very hot in California and who knows what size her son will be by the time we get any kind of cold weather. 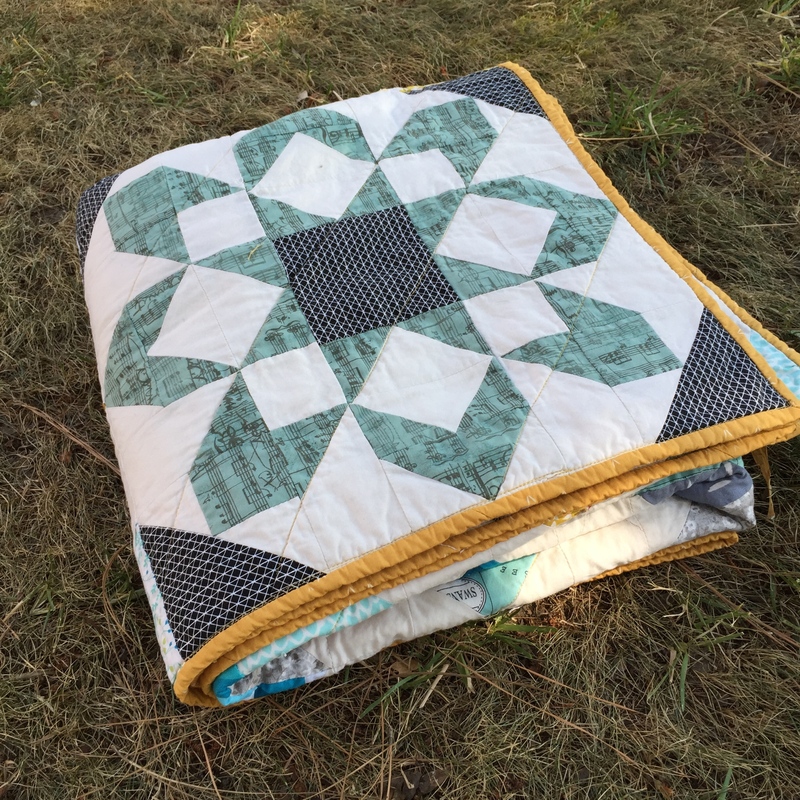 A quilt can be useful for years! And when your friend and former roommate of 5 years has her first baby it is well worth pulling out the good stuff! The pattern is a free download from A Bright Corner and called Charming Lucy. As written the finished quilt is about 35 x 35, but I wanted it a touch bigger, so I made each block just a tad larger. 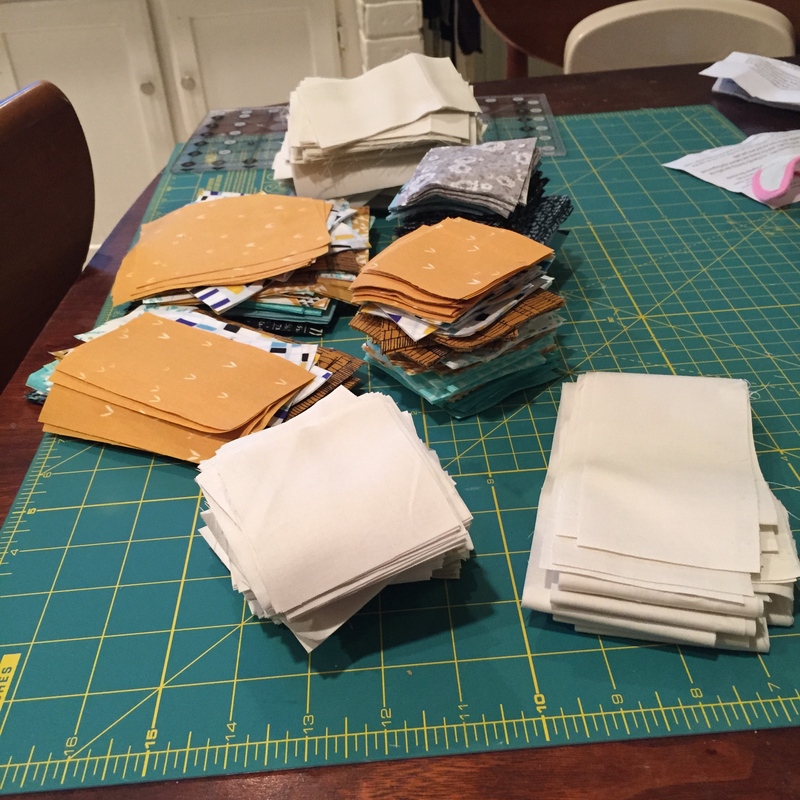 I’m fairly certain I used 6 inch blocks instead of the 5 inch charm pack blocks the pattern recommends. 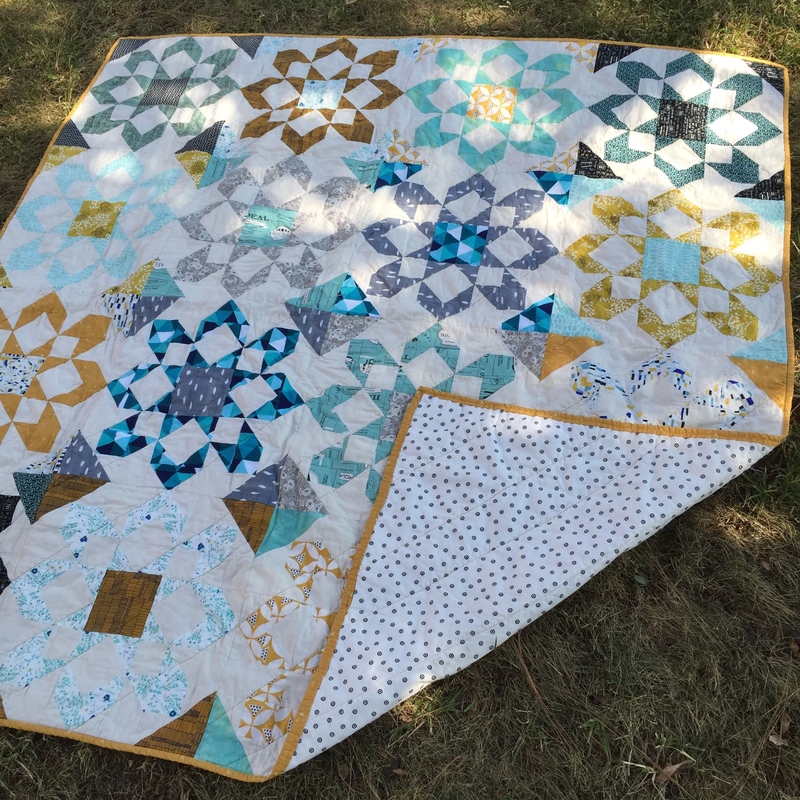 It’s kind of hard to remember the exact details since I finished the quilt back in June and packed it away until the baby shower. Pre-planning is great for stress free shower attendance, but terrible for remembering pattern modifications. The fabrics are from a few different places. Most of the blocks are made from fabrics I received in Westwood Acres I Want Her Stash Club. 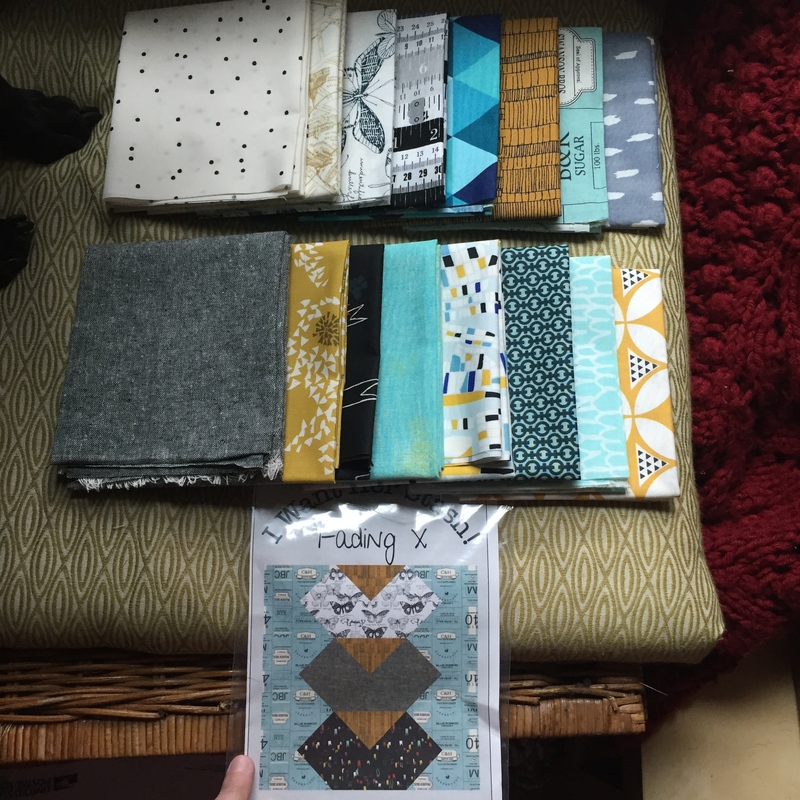 These are from February’s shipment which was curated by Allison at Cluck Cluck Sew. And the bold primary colors are a perfect nod at sports without covering the quilt with footballs and baseballs. The white background is Architextures by Carolyn Friedlander. 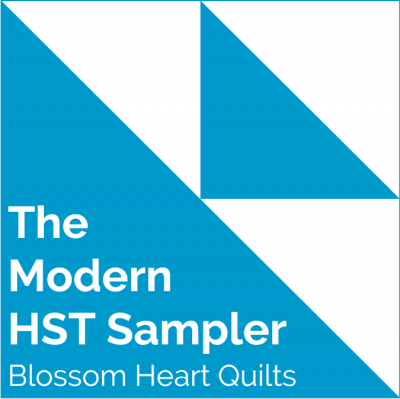 It has become my go-to fabric for sashing because it gives interest to the quilt without over powering the other prints. 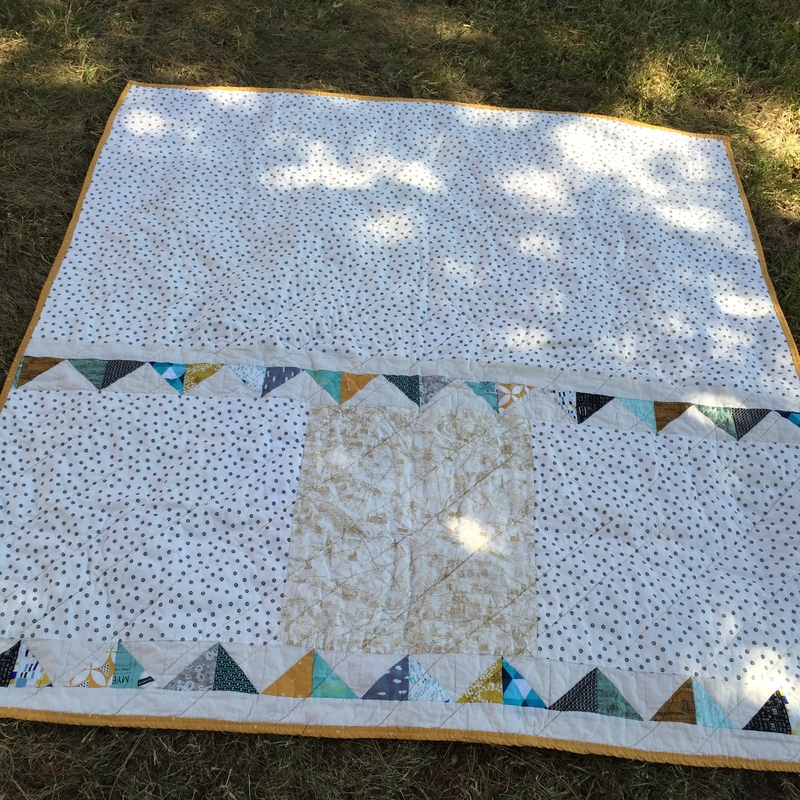 The quilt is backed with Play Ball by Lori Whitlock and the binding is a random polka dot I found in a bargain lot that just happened to fit the team theme perfectly! 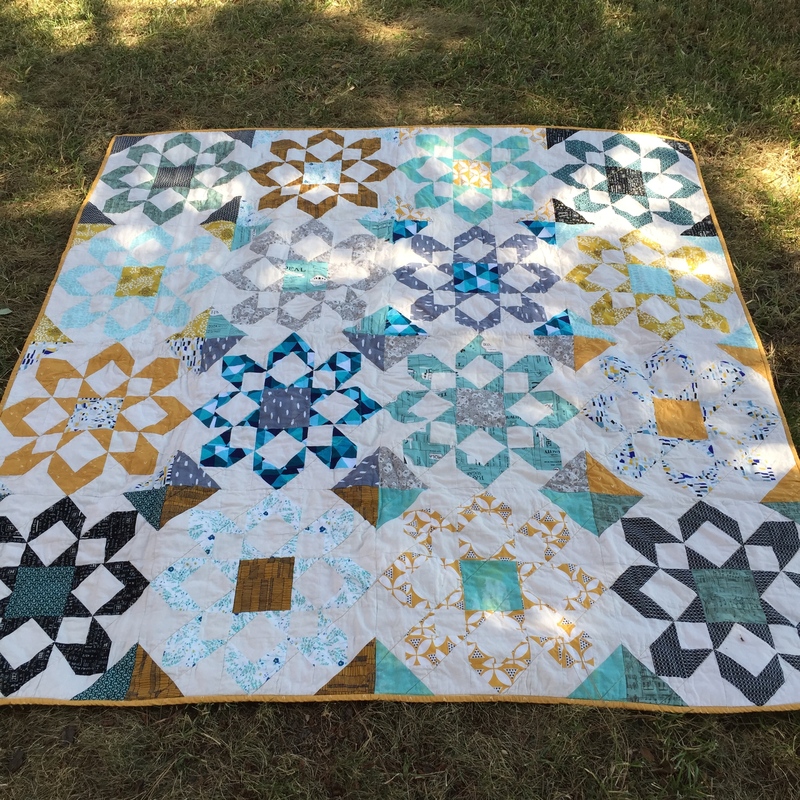 In the end, I love this little quilt. It is simple and sweet and I’m so very glad my friend loves it. I cannot wait to meet her little man! Congratulations Julie!